These revolutionary one-piece hold downs look great and are easy to install. They eliminate fumbling with four separate flange reinforcement clamps. By applying additional downward pressure nearer to the valve cover ends, these hold downs minimize the possibility of oil leakage. 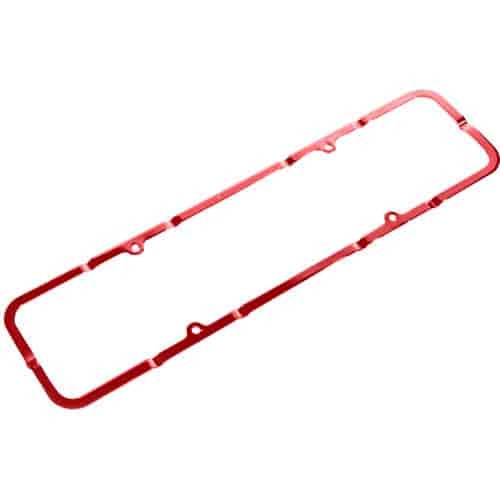 Fits Chevrolet small block stamped valve covers and are available in chrome, black, blue and red finishes. Also available with integrated linear wire looms to keep your plug wires neat and tidy. Sold in pairs.